What are NCR Pads and why do I need them? Many tasks within a business can require different copies of a completed form to be kept in different places. The original form with all the important details on may go off to the customer but a copy may also have to go to the CEO, another to the finance office and another to be kept in your office on file. In days gone by, people would have used carbon paper to achieve this without having to write out all the different copies needed manually. This involved a sheet of carbon paper being placed underneath a sheet of normal paper with another sheet of normal paper on the bottom. The problem here was that it was fiddly, expensive and still quite time-consuming! Of course, photocopiers have come along since then but still represent a time-consuming and slower way to meet this particular demand as well as not giving all parties an original copy to store. NCR paper was developed to solve this problem in one easy to use way. How does NCR paper work? NCR stands for ‘No carbon required’ and this sums up how they work quite well. NCR paper does the same job as old-fashioned carbon paper but in a much better way, with the need for the carbon paper removed. The NCR paper is coated on the back with a special dye which reacts with the top of the next piece of NCR paper underneath. When you write on the top piece of NCR paper, what you write instantly copies down to the other pieces of NCR paper below. This then gives you an instant and original copy of the form you have just completed with less mess than carbon paper. Why do I need an NCR pad? An NCR pad is where various sets of NCR paper are glued together to use. The sets can number from two to four pieces of NCR paper glued together within the pad. These can be ripped from the pad when ready to use and leave the rest of the NCR paper sets safely on the NCR pad for a later date. An NCR pad just makes using and storing NCR paper sets much easier and is also more cost-effective. If you would like to take advantage of cheap NCR printing, then give us a call today. 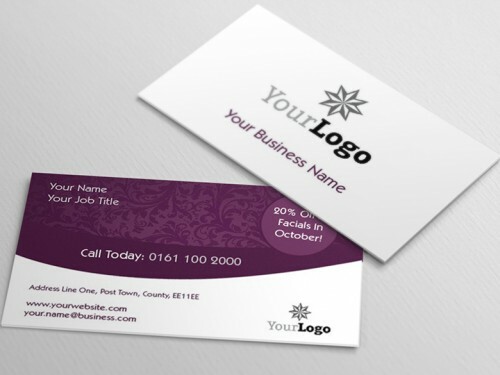 We even offer a design service that can produce NCR products like personalised invoice pads for your business. Get in touch today and see how we can meet your NCR pad needs.